As I reflect on World Polio Day, October 24, 2018, I find Rotary's investment amazing. If you ask most any Rotarian they will say PolioPlus started in 1988 and that is true. Others may say it started in 1979 when 6 million children in the Philippines were vaccinated with a grant from Rotary, that is also true. However, if you look into the history of our Rotary District alone, you will find that the effects of Polio were foremost in the minds of Rotarians and their Clubs. Without exception every Rotary Club Chartered before 1960 and most Chartered after that, supported significant programs for children crippled by Polio. From Camp Cheerful and Akron Rotary Camp to major support of local county schools for crippled students, and in one case inventing and producing self powered wheelchairs to provide mobility to those not able to walk. 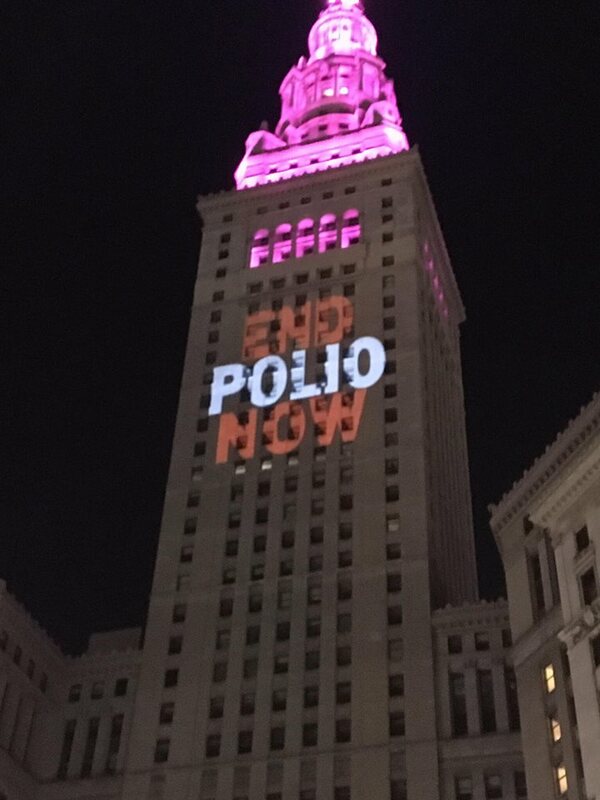 Even as we approached the New Millennium and Polio had been eradicated from the Americas, Rotarians of District 6630 never took their focus away from this debilitating disease. Some traveled overseas to administer vaccines, some sent wheelchairs, crutches and other equipment to help those already affected and just as important most raised or gave money so that all of these efforts were possible.